The over $16 billion of Chinese goods subject to 10% U.S. tariffs earlier this year were recently joined with a new spate of Chinese products targeted with the tariffs. These taxes are set to go into effect on Monday, September 24. They will increase to 25% in January if no agreement is reached with China. Among these new $200 billion of Chinese goods are Chinese tile products which include glazed and unglazed ceramic, porcelain and glass. http://www.marketplace.org/shows/marketplace-morning-report/08232018-us-edition, with Astrachan speaking at the 2:07 mark. On a more recent edition of NPR Marketplace Morning Report on September 18, Astrachan went into greater detail with host Kai Ryssdal, explaining why he’d like even higher tariffs than the current 10% duty. He reiterated the dumping issue with Chinese tiles.Plus he said he’d like to see the 25% tariff enacted to help level the difference in price between Chinese tiles and those produced domestically or imported from other countries. His view is that tariffs on Chinese tile would protect domestic jobs and U.S. industry. He went into detail about copying of designs that has been a hallmark of Chinese intellectual property theft, and how that hurts domestic producers. 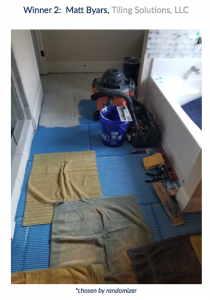 However, Astrachan reassured Ryssdal and listeners that tariffs on Chinese tile goods would not affect the consumer, due to the tile industry’s robust domestic production and import stream. To listen to the full interview, visit https://www.npr.org/podcasts/381444600/marketplace and scroll to the September 18 “The use-it-or-lose-it season” episode, starting at the 3:55 time mark. In a recent letter to TCNA members and colleagues, Astrachan thanked members who submitted supportive comments as well as the TCNA government relations team in DC. 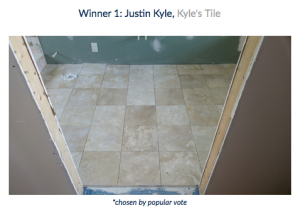 The industry has asked and The International Surface Event (TISE): SURFACES | StonExpo/Marmomac | TileExpo has answered, as the return of the National Installer of the Year Installation Competition (The Nationals), Wednesday through Friday, January 23-25 in Las Vegas, is announced at TISE 2019. 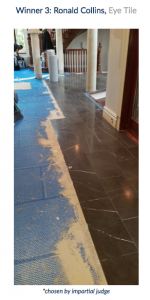 Installers across all aspects of the floor covering, stone, and tile industry are encouraged to submit their installation projects into The Nationals now! The industry is invited to watch the nine selected finalists LIVE right on the show floor as they show off their talent and skills in a set of product installation challenges, each in their own pre-constructed pod. The winner of the LIVE installation contest in Las Vegas will be crowned The National Installer of the Year, receive a prize package, and own incredible bragging rights in the industry and to their customers. Industry manufacturers interested in sponsoring the National Installer of the Year Installation Competition should complete the TISE marketing activation request form to be contacted by the TISE team. Thank you to our current sponsors, the International Certified Flooring Installers Association “CFI” and ProInstaller Magazine. 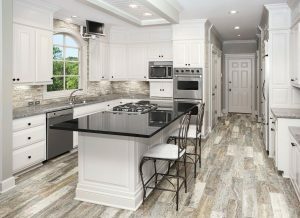 Lexington, KY: September 17, 2018 ¾ Florida Tile introduces PietraArt Premier Marble. Like the great masters throughout history, today’s interior designers use marble to create stunning masterpieces – spaces that define luxury, quality, and a timeless aesthetic that is at once current, yet made to trend beautifully into the future. Used as the foundation for both residential and commercial destinations, PietraArt Premier Marble is an extraordinary example of nature’s beauty that will provide matchless versatility and elegance for decades. Graceful movement and unique nuances of the veining found in this line are poetic and distinctive. The broad range of color along with either polished or honed finishes provide options that will set any project apart. Eight elegant stone choices, each with unique flare and personality, are available in varying field tile sizes. The line has seven sizes of field tile, nine mosaics, as well as pencil and chair rails. The range of choice and style make this collection the answer to all of your natural stone needs. To create an environment that exudes sophistication and refinement, only the natural artistry PietraArt Premier Marble from Florida Tile will do. Florida Tile is a fully owned subsidiary of Panariagroup, a publicly owned company traded on the Milan Stock Exchange (MILAN: PAN IM). Panariagroup is a leading manufacturer and distributor in over 60 countries around the world with six manufacturing sites in Italy, Portugal and the USA and nine brands positioned in the high-end of the market. Are you aware that the NTCA website has a Position Statement Library (formerly known as the Consensus Document Library) at your disposal? To visit this growing resource, enter https://bit.ly/2NKhuxN in your browser or click the Education & Certification link at www.tile-assn.com and scroll down to NTCA Position Statement Library. There’s a continually expanding list of papers and documents in the library, but the ones we want to draw your attention to are the documents that make up the Silica Exposure Control Plan. The recent OSHA ruling on respirable crystalline silica has marked a sea of change in the way many contractors do business in order to meet these new government requirements and ensure safe use of silica-containing materials for themselves and their employees. Visit the NTCA Position Statement Library and view the Silica Exposure Control Plan documents. In the spirit of education and information sharing, NTCA offers this resource as a free service on its association website. Take a look today! After 24 years as Director of Marketing & International Sales with The Noble Company, Richard Maurer moved to the position of Outside Consultant for the company in July. Those familiar with Noble Company will recall the warm, friendly presence of Director of Marketing & International Sales, Richard Maurer, at many industry events. Indeed, this editor has had the pleasure of working with him over the years and always enjoyed his kind personality, gentle humor and gracious smile. After 24 years in this role, Richard Maurer transitioned to the role of Outside Consultant for the Noble Company this past July. Richard started out in the world as a graduate of UCLA with a B.S. degree in Finance, and has over 40 years of sales and marketing management experience between Noble Company and Dow Chemical Company. After his college graduation, Richard honorably served his country in Vietnam, earning a Purple Heart. 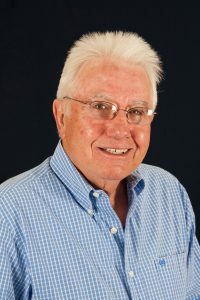 Richard has given presentations and authored articles on issues related to NobleSeal® sheet membranes, such as moisture problems and mold mitigation, sound insulation for ceramic and stone tile flooring, and protecting thin-set tile from cracking. Richard and his son, Michael Maurer, at Noble Company. 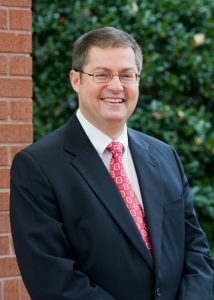 Richard is known for his quick wit and willingness to talk to anybody to try to solve their issues. And it brought Richard much joy that his son, Michael – the apple of his eye – is Chief of Security of the Noble Company. For nearly a quarter century, Richard has brought his skills and willingness to get the job done at Noble. I have always admired Richard’s ability to listen to our customers and be their advocate. The relationships Richard created in the industry played a significant role in Noble’s success. Richard’s son Michael was also a daily blessing for everyone in the office. His daily rounds always offered a big smile, often with a joke or two and occasional traffic report. We wish both Richard and Michael our best. Noble was fortunate to have Richard join our team in 1993. He is a unique individual who has top-notch marketing skills and the ability to understand and communicate – both verbally and in writing – the technical aspect of our products. He has been a very dedicated employee and genuinely liked to help customers. His quick wit and all around fun personality will be greatly missed on a daily basis in the office, and he is wished an abundance of blessings as he spends more time with family and friends. 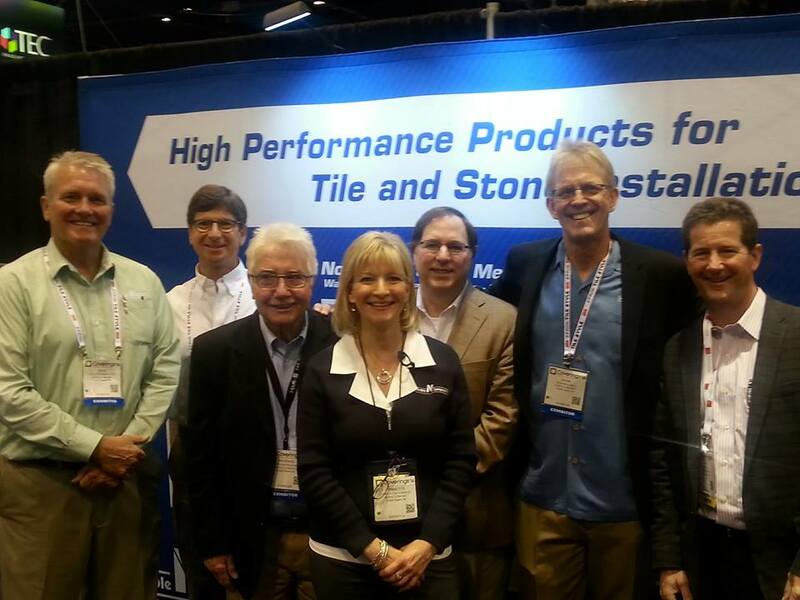 The Noble Team at Coverings 2016: Left to Right: Dave Wormmeester, Nelson Wilner, Richard Maurer, Lynnette Bloomberg, Pat Delahanty, Dean Moilanen, Jon Outcalt. Richard has an outstanding way of connecting with people. 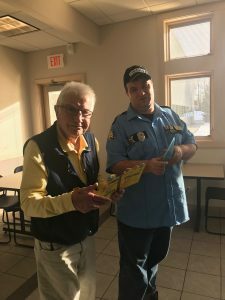 When people would call in with technical questions or concerns, Richard would spend just as much time in getting to know the people as he did in helping to resolve their issues. His compassion and concern about everyone he encountered will be missed, and we wish him nothing but the best as he enjoys his family and friends in retirement. It has truly been a pleasure to work alongside Richard, from the first day he showed up at a company meeting in Sky Valley, Ga., until the last day he walked out of the building. His input into so many of Noble Company product offerings during their development was instrumental to their success. He truly is one of those people that nobody has anything negative to say about and has always gone above and beyond what is expected. There are those stellar performers who choose to keep a low profile. Their consistent levels of superior performance are often unnoticed…ironically, their steadfast, unassuming levels of excellence are so “normal” they become routine. Richard Maurer exemplifies such excellence. Over the years, his contributions to Noble Company and to Noble’s loyal customers have been truly immeasurable. He has been a friend and mentor to me, and I will always be grateful for the time we spent together and the knowledge he imparted. Recently, the National Tile Contractors Association (NTCA) hosted its Five Star Contractor Summer meeting in Nashville, Tenn. The meeting, sponsored by Daltile, and co-sponsored by Custom Building Products and LATICRETE Internation al, attracted over 100 NTCA Five Star Contractor members and sponsor representatives, and centered on education and networking. The three-day agenda featured a seminar from Ron Meler of RW Meler Consulting, networking opportunities, sponsored programs, and education sessions that focused on contract clauses/risk, scheduling and change order processes. NTCA Five Star Contractors got to tour Dal-Tile’s 1.8 million sq. ft. Dickson, Tenn., manufacturing plant as part of the summer meeting in Nashville. 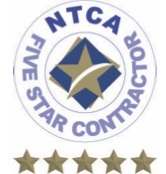 NTCA’s Five Star Contractor group is composed of dedicated residential and commercial tile contractor professionals that assemble to identify tile contractor challenges, provide best practices, consensus processes and create business opportunities. They work to develop training initiatives and best practices in business and in the field. NTCA members must go through a rigorous application process in order to obtain Five Star Contractor certification. If you are a NTCA member and interested in gaining Five Star Contractor certification, contact Five Star Program Director Amber Fox at [email protected]. Mansfield, Massachusetts. The Belknap White Group (BWG), one of America’s leading full-service flooring distributors, doesn’t just market and sell eco-friendly floorcovering products. The firm is one of the first companies of its kind to embody the green movement by retrofitting its buildings with energy-saving, environmentally sound, green technology. 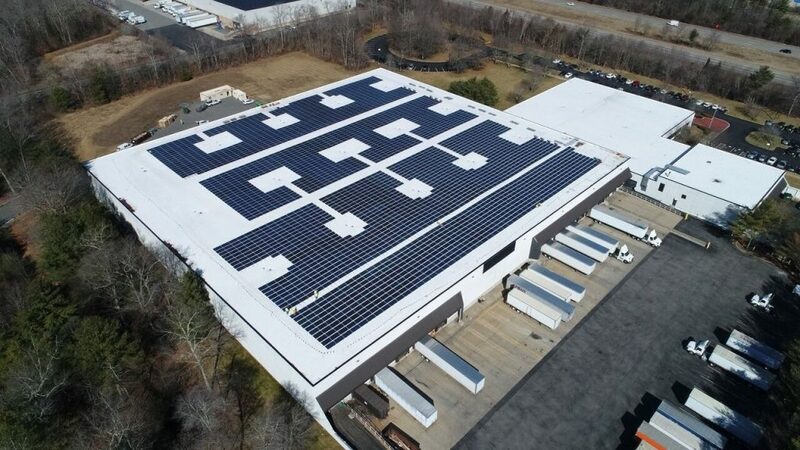 Mancini stated that the roof of the firm’s Mansfield, Massachusetts main building, which basically housed inventory, “was 25 years old, whereas in relatively good condition, could use an upgrading. “We soon discovered there were three areas which would benefit us, if we decided to go with an exterior solar panel program. First of all, we could receive governmental tax credit. Secondly, we would qualify for solar renewable energy credit. And last, which initially we thought would be the main item to target, we’d be able to cut back on power and electricity expense. Yurtbay Seramik, one of Turkey’s leading producers of ceramic tile materials, currently exports its comprehensive product ranges to more than 50 countries spanning the globe. One of the firm’s major export markets is the United States. 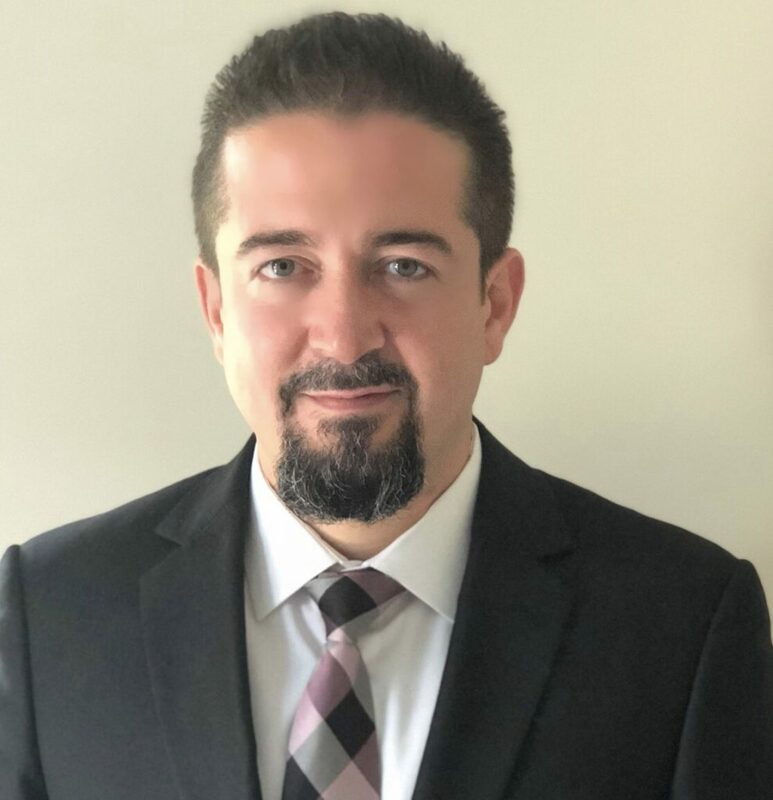 To optimize the firm’s Turkey/America connection, it was recently announced that Semih Susleyen has been appointed General Manager of Yurtbay Seramik USA. The trip will take place next month and we are thrilled about the great time that is going to be had by all. They’ll be sharing highlights from the trip to Germany on social media.